The famous Greek writer Alexandros Papadiamantis from Skiathos Greece, Sporades: Alexandros Papadiamanis was born on March 3rd, 1851 in Skiathos. He was the son of the priest Adamantios Emmanouil and a woman named Angeliki. He completed the primary school and the first two grades of the High School in Skiathos. Later on, he enrolled in a school in Skopelos and thereafter in Piraeus. Alexandros Papadiamantis finally graduated from Varvakio High School of Athens in 1874. The same year, he enrolled in the Faculty of Philosophy at the University of Athens but never graduated. During this period, he composed his first lyrical poem in memory of his mother. In 1879, his novel The Immigrant was published, while in 1882 he published The Merchants of the Nations. At the same time, he was also working as a translator. From 1892, he started working as a full time correspondent for the Akropolis newspaper. From the year 1902 to 1904, Papadiamantis moved to his beloved homeland, Skiathos, and published his most famous novel The Murderess. In this novel, a grand-mother strangles her baby grand-daughter to save her from a miserable life, as the woman had no right in the male-dominating society of that era. After a short time again in Athens, he returned to Skiathos where he lived till the end of his life in 1911. On January 3rd, 1911, he passed away after suffering from pneumonia. 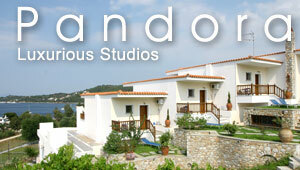 His love for Skiathos and the native people of the island found expression in many of Papadiamantis works. As he was a keen observer, he found his themes in the morals that existed in the local society those days. Today, his house in Skiathos Town has been bought by the Greek State and it has turned into a museum.